Just like you probably do, I have a folder on my iPhone whose sole purpose is to store all of Apple’s apps that I don’t use. Stocks, Compass, Voice Memos, Tips, etc. They’re all in there because I can’t get rid of them. But this is changing! 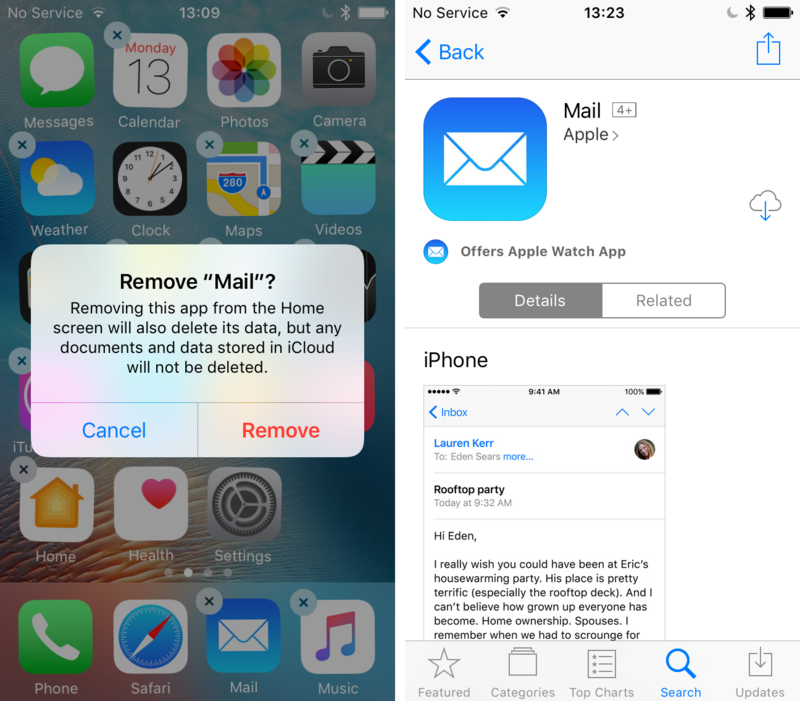 Beginning with iOS 10, Apple now allows you to delete some built-in applications from your iPhone or iPad to help you tidy things up and bit and rid you of apps you don’t actually use. This comes with some minor strings attached. For one, apps aren’t technically deleted from your device. That said, the process to remove them and get them back on the Home screen is similar to how you handle other apps. We’ll have a look at all this right now. Can I delete Apple’s apps I don’t use? The answer is yes, but not really. 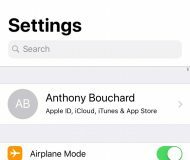 As Christian wrote a few months back in his post about the fine print of deleting stock apps on iOS 10, what you’re actually doing is hiding apps from the Home screen rather than deleting their binary from the device. In the confirmation messages showed when trying to remove a stock application, Apple makes it clear that all you’re doing is effectively “removing” the app from the Home screen. You’re not actually deleting it as you would delete an app you have downloaded from the App Store. What happens to the data of these apps that I remove from the Home screen? 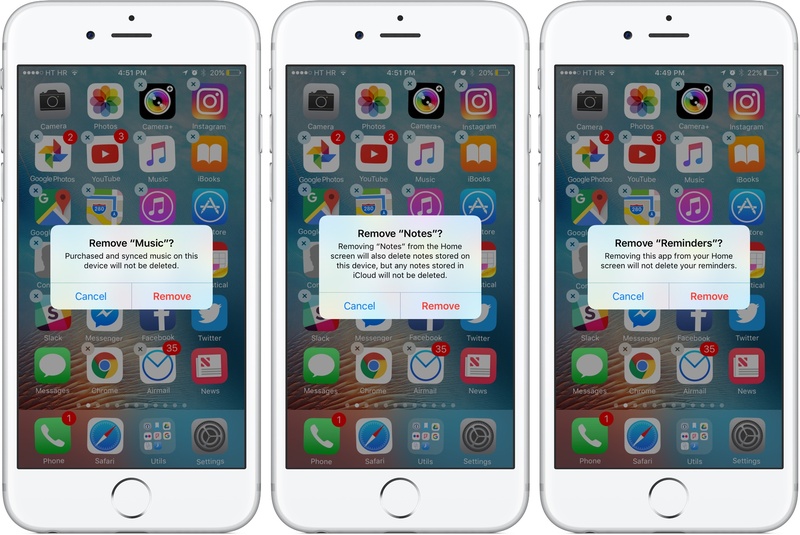 When you delete remove a first-party application from the Home screen, all its data will be removed from the device. However, if this application has data synced with iCloud, this data will remain on iCloud. 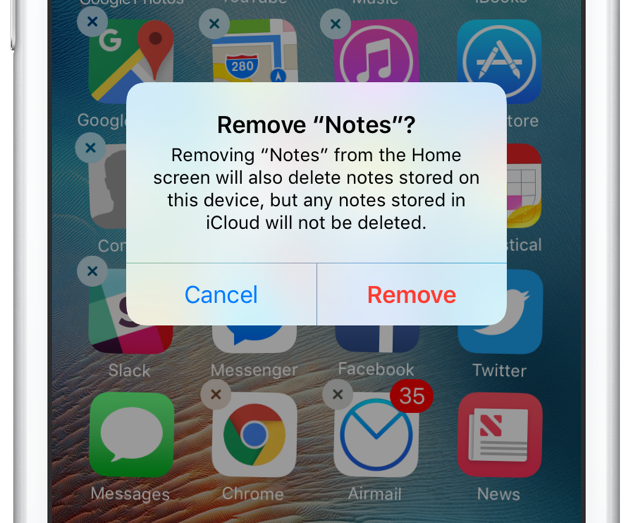 For instance, if you choose to remove the Notes application, your Notes data will be removed from your iPhone, but any documents and data stored in iCloud will not be deleted from there. Your notes will be gone from your iPhone, but they will still be available for you from iCloud should you decide later on to add the Notes app back on your Home screen. Should I remove stock applications? If you want to remove stock apps to save storage space on your device, then this is probably not the best way to do it. Apple itself notes in a support document that all of these apps combined take less than 150MB of storage space on your phone. If you really want to save space, then check out our post highlighting 40+ ways to save storage space on iPhone and iPad. Now if you want to clean up your Home screen and remove some of the clutter created by these applications, then sure, go ahead and do it. What apps can be removed? 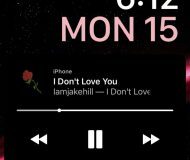 How to remove a built-in app? 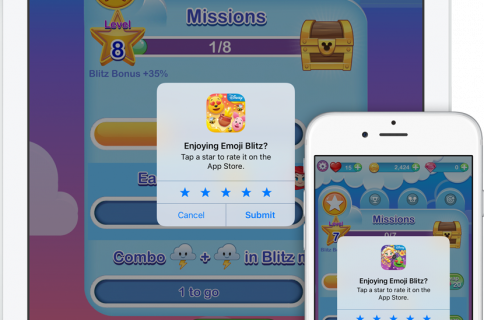 Removing a built-in application from your iPhone or iPad is just as simple as removing any other app. Simply tap and hold your finger on any app icon. Wait for them to get into wiggle mode, then tap the X mark in the corner of any app icon you want to delete. Apple will then ask you to confirm the removal of the app. How do re-install a previously removed application? 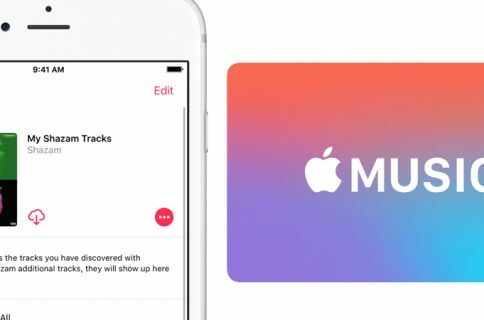 Again, this is as simple as the process to download apps from the App Store. Just launch the App Store app on the device, search for the app you want to add again (i.e. Mail, FaceTime, etc) and install it from there. As we said before, since the app itself is just hidden from your device to begin with, you aren’t technically downloading an app here. You’re simply un-hiding it. Are you removing any app? Now that iOS users have the ability to hide certain built-in applications from their devices, is that a feature you are taking advantage of? Personally, I have removed a few (so long, Tips! ), but I kept the vast majority of them in my Apple apps folder. Share your set up with the rest of us down in the comments section.